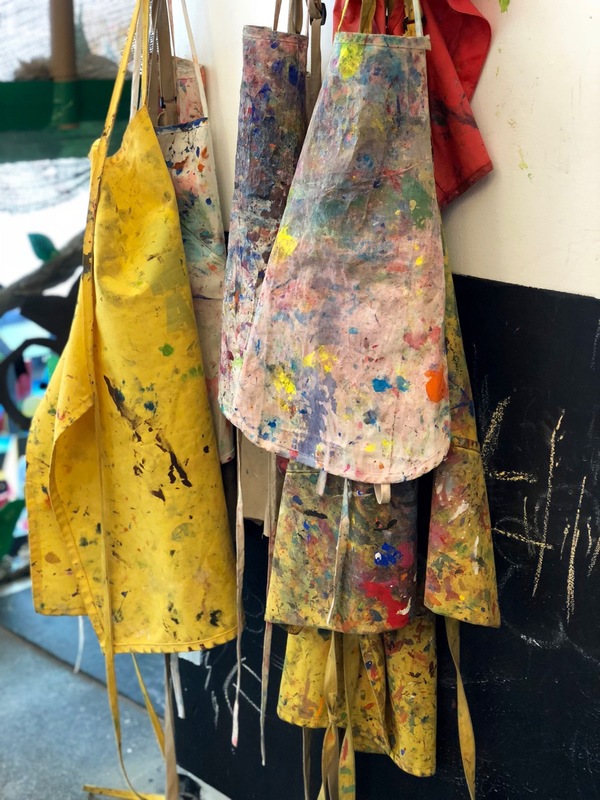 Children’s Museum of the Arts in Manhattan’s West Village is a nonprofit arts institution with a valuable mission: it aims to provide space and materials to introduce families to the transformative power of the arts and allow them to immerse themselves in the joy of creating together. 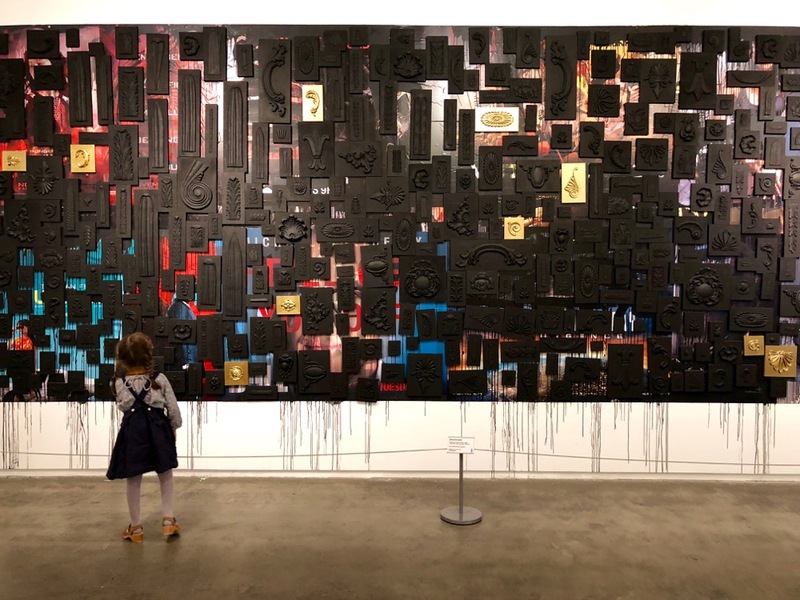 For children, the museum is a magical place to spend a few hours, with a range of activities designed to keep them engaged and a helpful team of professional artists and arts educators on hand to share their knowledge and guide young artists through projects. 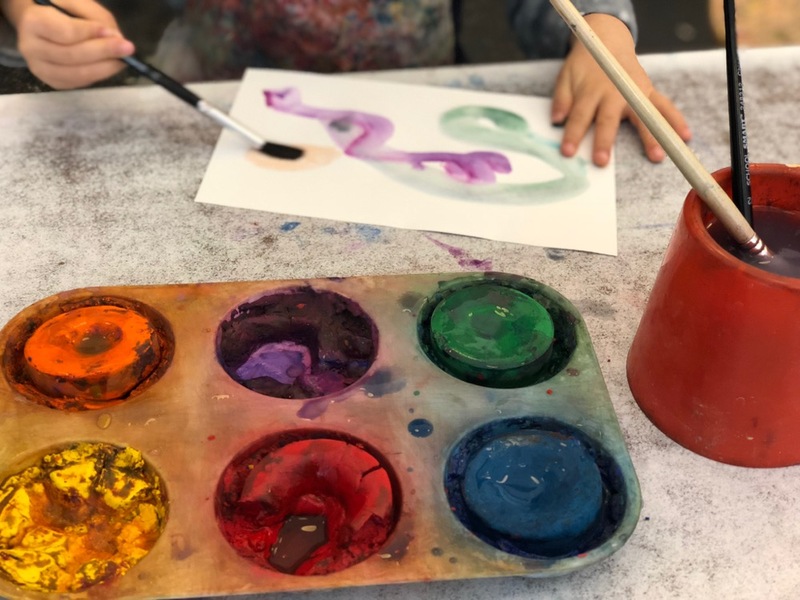 Though there are two gallery spaces at Children’s Museum of the Arts that feature new artists and artworks every 3-4 months, the chief attraction at the museum is the ability to get your hands dirty and create artworks of your own. The WEE Arts Studio is aimed at children 0-5 years, with foundational art materials arranged at several stations. 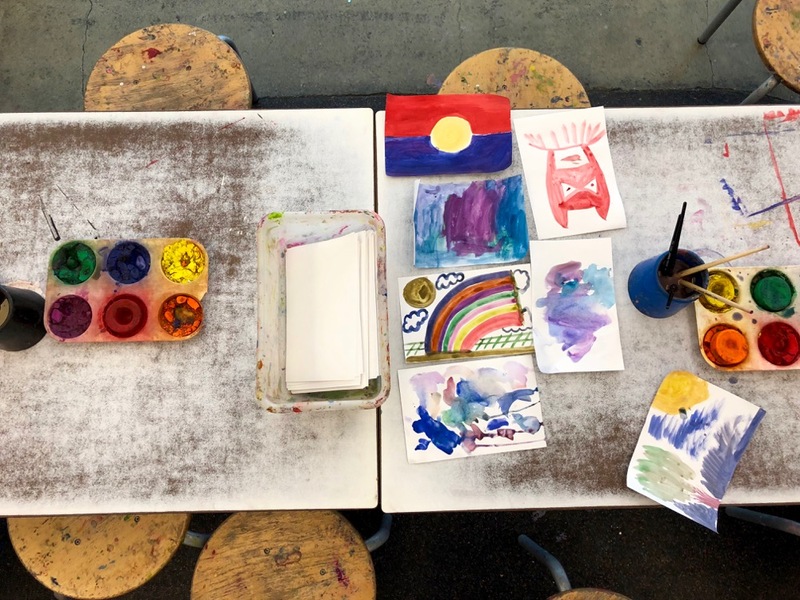 When we were there this past weekend, tables in the main space held play-dough and a project involving dot paint markers, while tables on the mezzanine level invited children to use watercolors and collage materials. Large foam building blocks, Magnatiles, markers, chalk, and flubber were also out for exploration and play, and music and story times happen at set times throughout the day. On weekdays, the WEE Studio is open for drop-in hours from 10:45am-12pm before the museum opens for general admission. 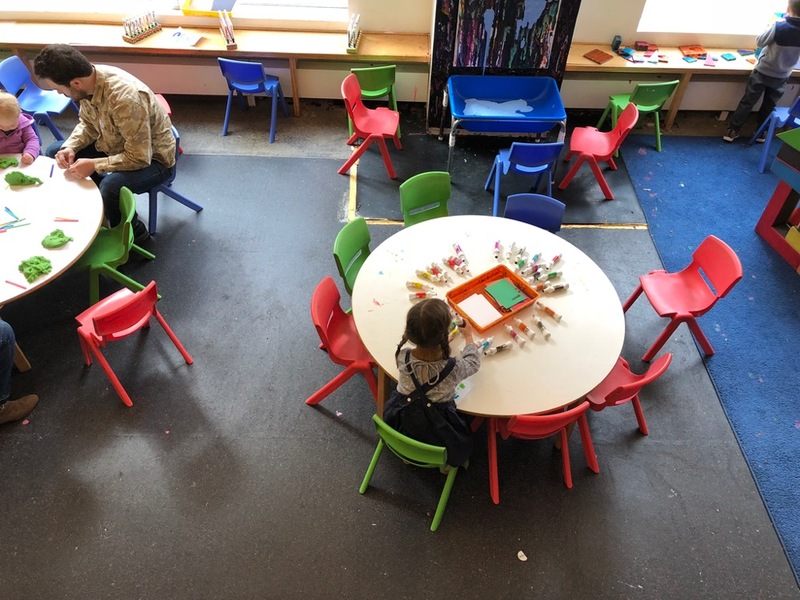 Beyond the WEE Studio are several spaces with great appeal for older children. The Media Lab provides for exploration and experimentation with animated videos, photography, and film making. In the Sound Booth, children can make and record music and podcasts. Small group sessions for the Sound Booth are taught by Teaching Artists, and require sign up upon arrival at the museum. A highlight for my daughter during our visit last weekend was her first trip to the Clay Bar. 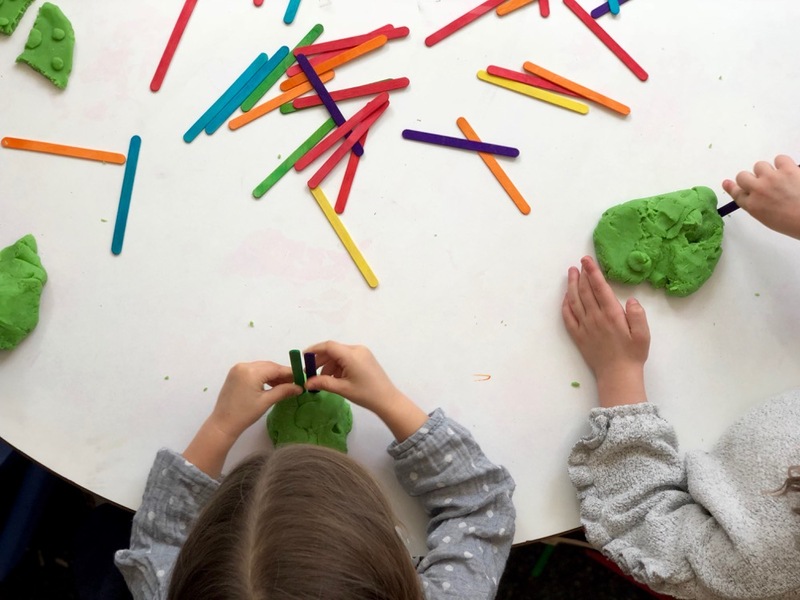 There, along a tall counter, children sat and diligently worked to bring ideas to life with modeling clay and the help of Teaching Artists. The theme for the day was ‘Armored Animals’ and my daughter was thrilled with the turtle she made, proudly tucking it into a bag to bring home. Recommended for children 4 years of age and older, the Clay Bar is quite popular, and also requires signing up for a 35-minute-long slot. 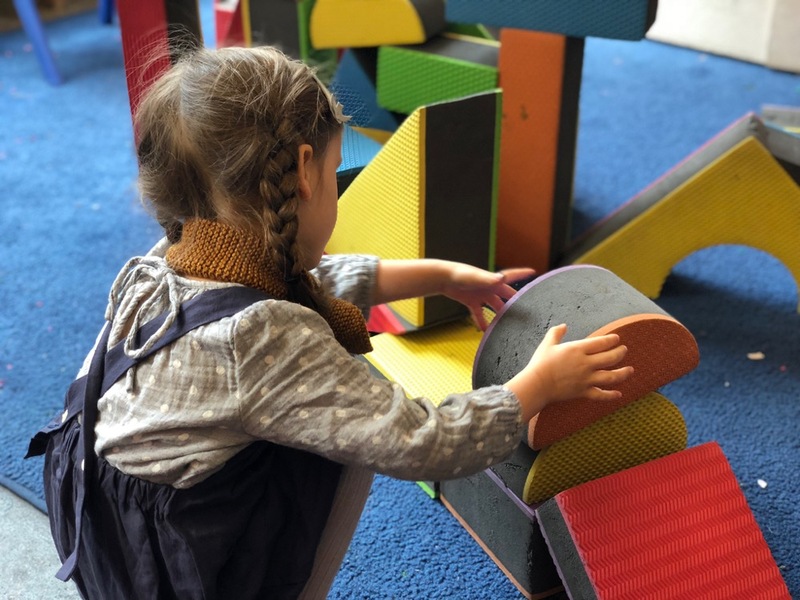 Lastly, in a space up a short flight of stairs (or for kids, a climb up a wooden obstacle wall) from the studios and gallery, you can find the Swirl Studio, stocked with blue Imagination Playground Blocks, perfect for building anything children could possibly dream up. 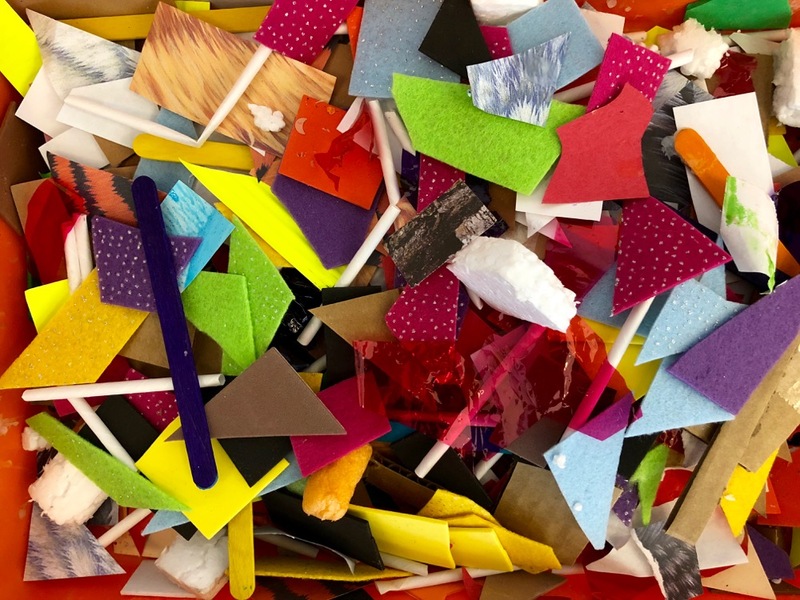 My daughter is firmly in a very art-intensive phase at the moment: stacks of drawings and paintings come home with us from preschool each day, a growing pile of artworks graces one end of her bureau, and I find bits of her creative process everywhere as I look around the house. 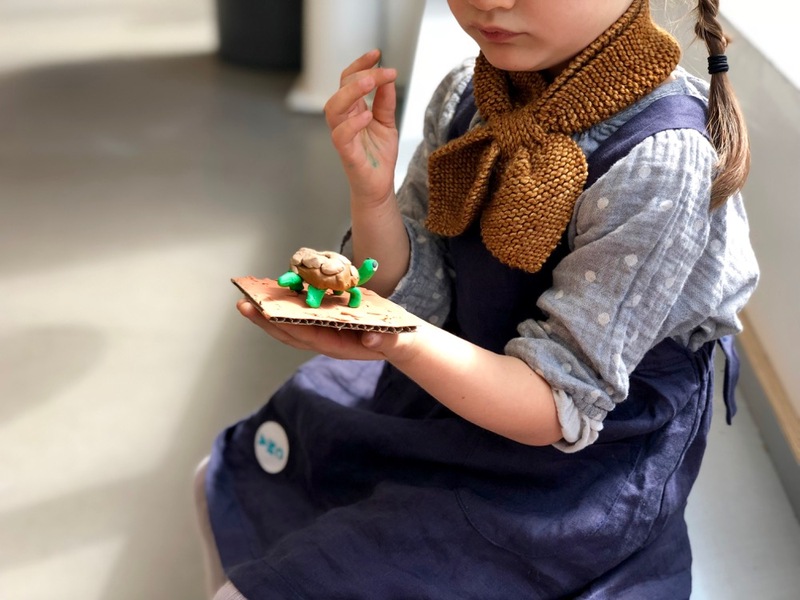 For her, and, I suspect, for most children, having easy access to so many materials for creating was an enormous inspiration. 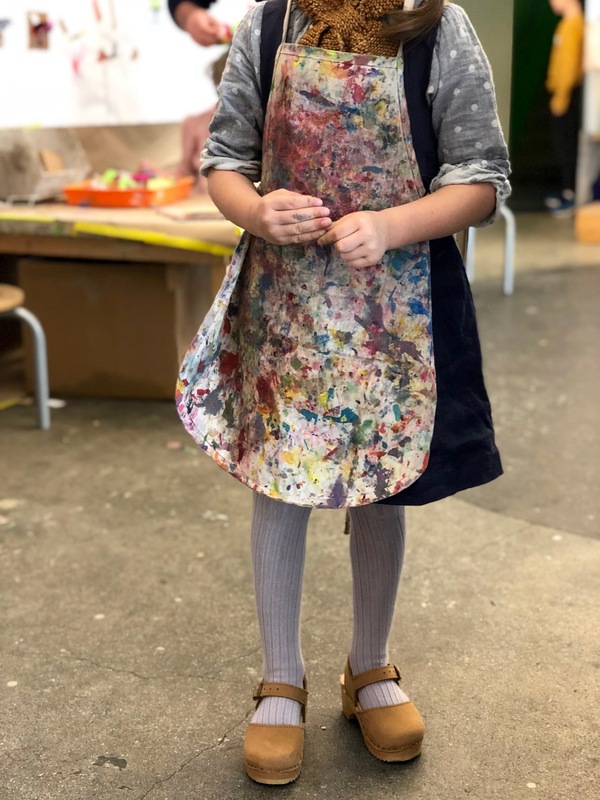 During our most recent visit her excitement was clear as she moved through the Wee Arts Studio, working with the dot markers, using the blocks to build a subway train, painting a stack of drawings “for all my friends at school!” and adding to the collaborative collage hung along one wall. 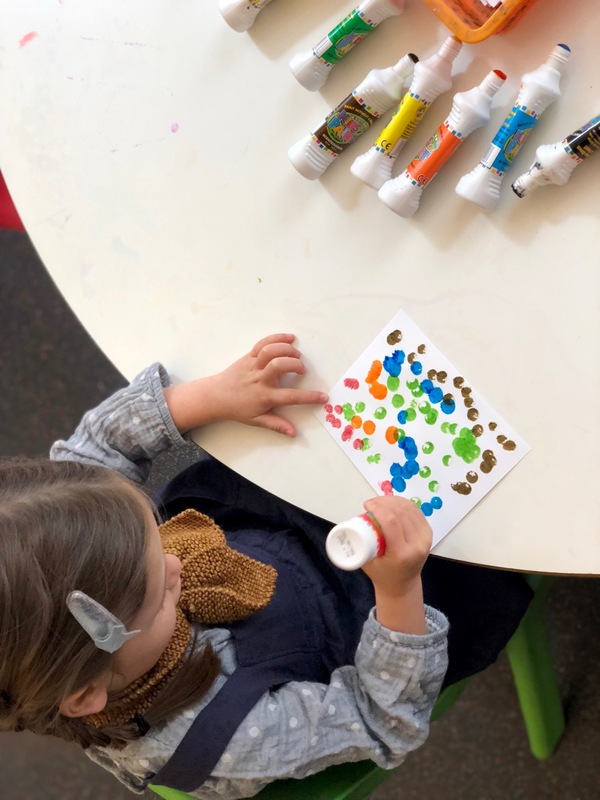 We’re looking forward to heading back soon, this time with her little brother, who at 13 months has just started to develop an artistic sense of his own. 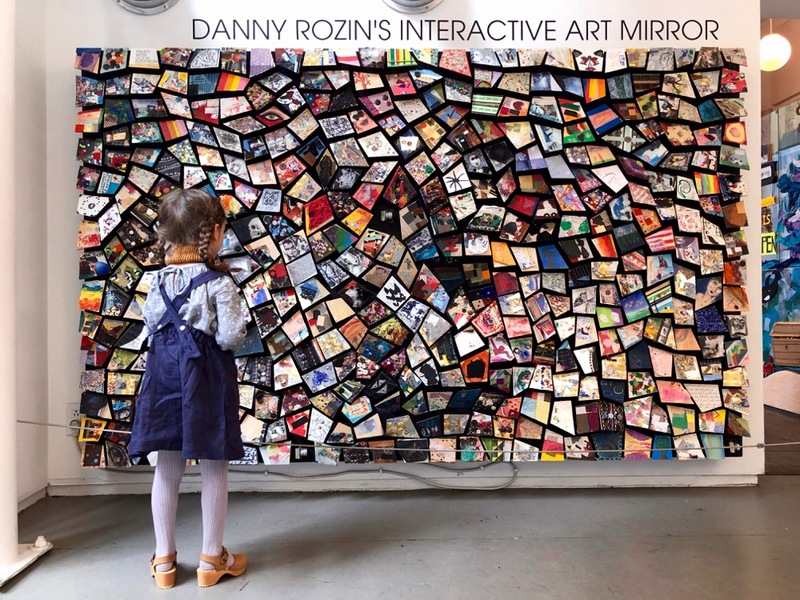 General admission hours are Monday 12-5pm, Thursday and Friday 12-6pm, and Saturday and Sunday, 10am-5pm. Museum goers aged 1-65 years are $12, and infants under one year old are free. Food and drinks are permitted only in the lobby and the lounge of the museum. In the lounge, you’ll also find space to park stroller and hang up your coat. The closest subway stops are the 1 train at Houston Street, the A and C trains at Spring Street, and the A, C, E, B, D F, and M trains at West 4th Street.